Purchasing a new home has its own benefits, but sometimes a fresh space can feel a bit soulless. Fortunately, it’s quite easy and inexpensive to add some depth and personality to your new space. Some decorative touches here and a few of your favourite piece there is already enough to give your new home the life of its own. That said, we’ve listed down some of affordable ways on how you can give some character to your space so it really feels like your own. Painting your walls with neutral colours sure are great, but don’t be so quick in dismissing the power of a bold paint colour. Bold walls immediately lend a distinctive personality to any home, not to mention that it’s one of the quickest and cheapest ways to transform a room. Just make sure that you test the colour beforehand, and see how it changes throughout the day to avoid any mishaps from occurring. Apart from using bold paints, wallpapers have always been a great option for adding some personality to your space. 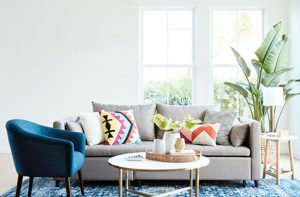 Although it used to be an out of reach option for most of us due to a limited budget and landlord restrictions, it’s now possible to find lots of removable and affordable wallpapers from hardware’s and home depot shops in Singapore. So whether you own or rent your space, purchase a wallpaper that will add the perfect touch of personality and whimsy to it. Incorporating rustic elements, such as reclaimed woods, is a quick way to add both texture and colour to your home. Whether you use them to accent an entire wall or to decorate an open shelving, reclaimed woods will surely infuse some warmth and charm into your space without breaking the bank. Source out your wood locally or invest in a high quality one to save you a lot of energy and time in the long run. Perhaps some of the most charming rooms that you’ve seen in Pinterest are filled with beadboard, crown mouldings and board and batten. Fortunately, you can now have that same lovely look in your room by doing some DIY wall mouldings. 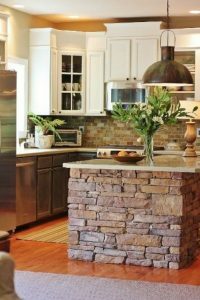 Even if you don’t consider yourself as a DIY expert, there are a plethora of DIY tutorials that explain how you could possibly incorporate these elements to your home. No change will make a huge impact as swapping your standard ceiling fan or overhead lighting. 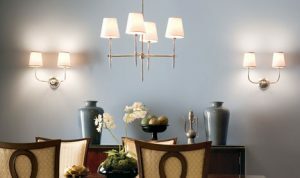 Apart from improving the level of light in a particular room, an upgraded light fixture will also create a focal point that will make your entire home feel more special and customized. Even if you’re on budget, there’s a wide variety of incredible options available that are just under a hundred bucks. Sprucing up and adding some character to your space isn’t really that challenging. All you’ve got to do is be creative in decorating your space and you can already make your space feel more like your own.